When you move to another country, you are subject to the taxes of that other country. Not only income tax, but also, for instance, gift tax and inheritance tax. The main rule in the Netherlands is that if the person making the gift is/was living in the Netherlands at the time of the gift, the receiver will have to pay gift tax. It does not matter where the receiver himself lives, nor does it matter where the property is actually located. The simple fact that the one who makes the gift is living in the Netherlands means that gift tax will be due here. If a Dutch national emigrates abroad and makes a gift within ten years of emigration, gift tax will still be due in the Netherlands. If the person making the gift is not a Dutch national but has lived in the Netherlands, this rule will apply if the gifting is done within one year of his departure. Of course, it could happen that the receiver is living in a country that will also subject the gift to tax, leading to double taxation. The Netherlands has entered into a treaty on how to avoid double taxation in this type of situation with a number of countries. However, this is only a limited number of countries. How much gift tax is due depends on the value of the gift and the relationship between the giver and the receiver. The rates are adjusted annually. Every gift – with the exception of the annually exempted amount that may be gifted to children – must be reported with the tax authorities. gifts to grandchildren, partners and others: € 2,092 annually. In 2014, anyone may make anyone else a gift of € 100,000 free of tax. One of the conditions for this tax-free gift is that the receiver uses the money in connection with a home; to buy one, to renovate one, or to pay off a portion of the mortgage. It goes without saying that the amount of € 100,000 is not fixed, it may be for less. There need be no family relationship between the giver and the receiver. The exemption may only be used once between the same giver and the same receiver. In other words, a giver can make as many of these gifts as he wants and a receiver can receive as many of these gifts as are made to him, as long as they are to and from a different person, whereby it should be noted that partners (whether married or not) are considered one and the same person for purposes of applying this rule. The condition that the gift be used for the ‘own home’ has given rise to a number of questions. It has since become clear that the home must be where the receiver actually resides and that it must be subject to Dutch income tax in box 1. This means that if there is a mortgage on this home, the owner receives a mortgage interest deduction for this. (In other words, the home is the receiver’s principal place of residence). The tax authorities can ask for proof of the fact that the gift has actually been spent on the home. This one-time exemption not only applies to the own home in the Netherlands, it can also be used for an own home abroad. The tax authorities must be able to verify that the home for which the gift has been used indeed is the principal place of residence. If a parent has already made an exempted gift to a child in the past, thereby making use of this one-time exemption for children between the ages of 18 and 40, this will be deducted from the amount over which this exemption is granted in 2014. The gift does not have to be put in writing in an official document, however it may be advisable to do so. For instance, if the giver wishes to include an exclusion clause, ensuring that the gift remains with the intended receiver. This way it can be avoided that, in the case of a divorce, the receiver’s partner would acquire a right to half the gift. When making a gift to a child, in some cases the giver may wish to stipulate that the amount received is settled with the inheritance later on. Putting everything in writing will help avoid problems and questions in the future. This rule entered into force on October 1, 2013 and will apply until January 1, 2015. 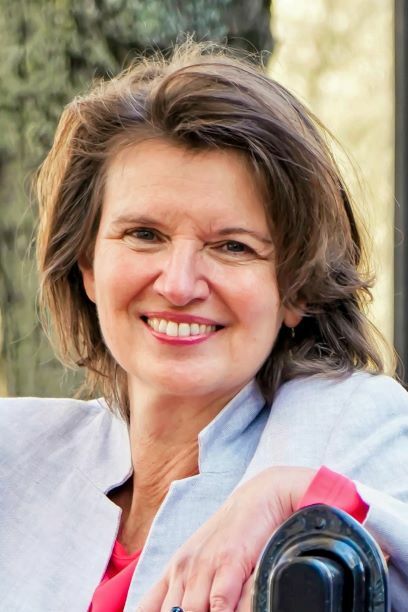 Former Dutch State Secretary Weekers expected that 5,000 gifts would be made in 2014 in connection with a home. Enquiry among 53 of the 150 civil law notary offices registered with Netwerk Notarissen has shown that this is indeed a very popular measure. Would you like to make a non-home related gift? You can, of course; the regular rules on, and exemptions regarding, gifts still apply in 2014. Taking into account the complexity of this temporary regulation and the many exceptions that apply, you are strongly advised to seek advice on its applicability to your specific situation.